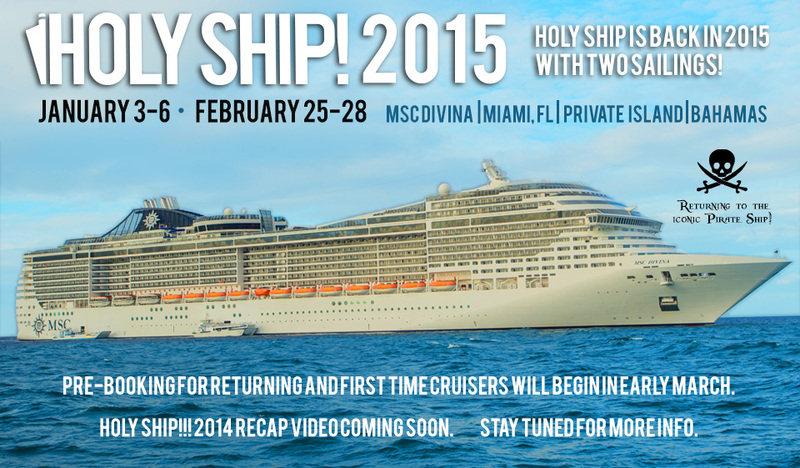 Holy Ship!!! has become one of the most demanding experiences that you can attend. Everything on the ship exudes a great time. The pictures, the stories, everything makes you just want to attend an ALL EDM EVENT ON THE WATER! Instead of one weekend like they did this year, they’re extending it to two weekends. Doubling the fun. It is thrown by HARD events and they know how to throw a real party. Since they aren’t back to back, they could be unique. We don’t know. All I know is I want to go. Plus the first weekend begins on my birthday! First weekend of sailing: January 3rd to January 6th. Second weekend of sailing: February 25th to January 28th. Pre-Booking information will come soon in early March. Filed Under: Festivals Tagged With: Holy Ship!! !